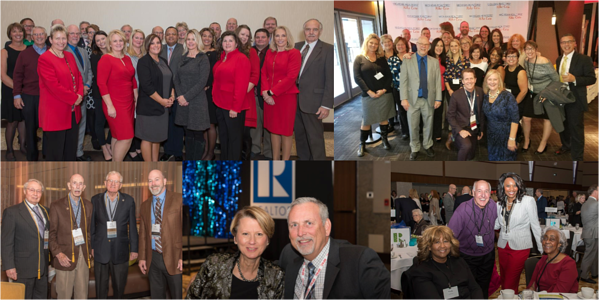 Installation is a time for Members to celebrate the holiday season together, honor the Members who work tirelessly to make GKAR one of Michigan's leading real estate associations, and to set the tone for the upcoming year through the installation of incoming leadership. Why Should I Attend installation? Catch up with over 400 GKAR Members; enjoy a beverage, break bread, and expand your sphere of influence. This is the largest gathering of real estate professionals in Kalamazoo. This is a celebration of all that we have accomplished in 2018. We have a master of cermony to keep things rolling, a video to commemorate the year, and leadership to share 2019's vision for the Association. Join us in thanking those Members who took advantage of all the opportunities available to them through their GKAR Membership. If you've been involved this year, this celebration is in your honor!